The Guild's 2018 Harvest Service and Lunch took place on Thursday 11 October. The church service at St Brides was followed by drinks reception and fabulous three-course luncheon at the prestigious Painters' Hall. Our 2018 sponsors were NFU Mutual (main sponsor), Certis (venue), Hutchinsons (wine), Alltech and KEENAN (church), and Bill Kelsey of Kelsey's Farm Shop (harvest produce). Our Harvest Lunch featured rose veal generously sponsored by the Buitelaar Group. 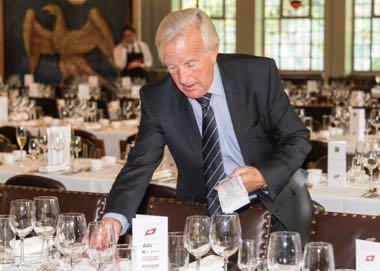 Guild members are "vibrant, engaged and proactive"
Can you fill our chairman's boots for charity? 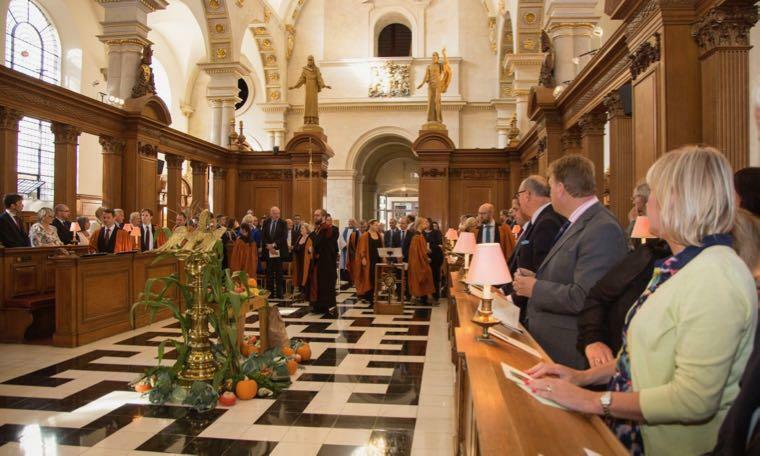 The Guild's Harvest Service and Lunch takes place each autumn in London. The church service at St Bride, Fleet Street, is followed by drinks reception and three-course luncheon nearby. The flagship event of the Guild calendar, this is an ideal opportunity to catch up with Guild Members, friends and special guests in a semi-formal setting.